Heather Anderson has worked individually and collaboratively on a variety of socially engaged, interdisciplinary projects for over two decades. 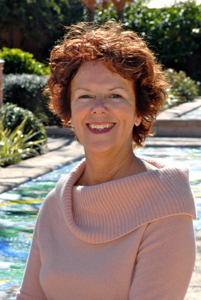 Her projects include the design and installation supervision of major, public glass mosaics at The Florida Botanical Gardens, the Bay Pines Veterans Hospital and the University of South Florida Botanical Gardens. A landscape oil painting of Heather’s was on an extended showing at The United States Embassy in Cameroon, and her work is also on display in the New York offices of several international corporations. Color, light and beauty are central to Heather’s art. The use of brightly colored glass in her mosaics creates vibrant and moving scenes. A touch of whimsy can be found in her designs, which keeps the mosaics fun. Deeply ingrained in her work is a passion for life and a belief that the human spirit can soar to unimagined heights.